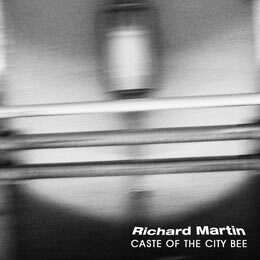 Richard Martin is a New York City‐native artist that has been touring and performing in bands for over twenty years. He runs operations out of his Brooklyn studio, called DCXXV Recordings, where he produces and engineers records for himself and other artists. I was really into this album since a few months or so since Marcin from www.audiotong.net have sent me couple of cds of his label. Quite a surprise really as never have I expected such a good drone album made in an unpredicted way with great asset of composer's skills and connecting all the dots together...5 long pieces that aren't boring by any means nicely arranged with a slight touch of old experimental 1980's music which is one of my favourite. Great Piano sounds with electronic loops gives a sombre outlet for something else than just another looped underscore of low biased sounds Richard stay with us!